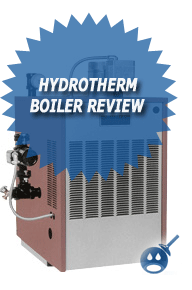 HydroTherm GX Gas Fired Water Boilers have a new modern combustion system that will now let the GX boilers to adjust the burner to precise size that you will need to properly meet the condition of the system. This new system is a high tech electronic combustion system that was designed to decrease the amount of the gases that were being put through the burner. What this does is it will ensure the right amount of combustion through the process of modulation on the system. The GX Series Gas Fired Water Boilers are sealed combustion systems in which means that all of the combustion is brought in from the outside and then it is used for combustion and then it is released. The benefit is that there is no need for fresh air through the intake, which would release into a room, which would reduce the cost of heating. Another benefit of the GX Series Gas Fired Water Boilers is that there is much more flexibility on the installation than on any other boiler. The GX Series can be used with both Natural Gas and Propane, each has a modulating system that does away with any need for extra models. 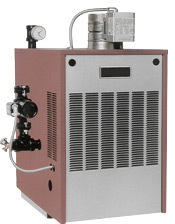 Some of the features of the GX Series Gas Fired Water Boilers is that they are for residential use. 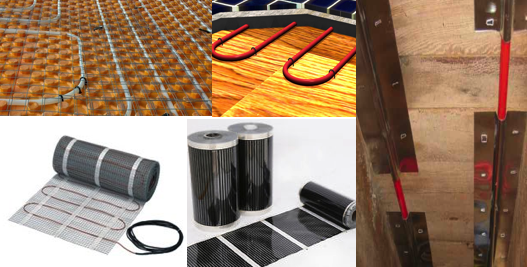 Now you can safely and effectively heat your home without paying a lot of money. The GX Series used the HydroTherm patented 316L stainless steel condensing heat exchanger. Other features include a special casing design that will ensure a reduction in costs that stem from boiler standby. The GX Series can be vented with either a standard PVC or CPVS plastic piping. The new sealed combustion system is used with a hot surface ignition system. The HydroTherm GX Series Gas Fired Water Boilers are rated for Low NOx, which is certified, by the SCAQMD or the South Coast Air Quality Management District. All of the connections for installation and operation are all easily located and easy to operate. These boilers are equipped with a Sentry 2100 Control System. This system includes an enclosed unit, which will protect the unit from any impact. The system is a multifunctional LED display system with a digital set point for accuracy. The system has an internal diagnostic system that will constantly keep an eye for errors. There are 3 units available, the GX150, GX200 and the GX400. The GX150 has a BTU input that ranges from 34,000 to 150,000, the GX200 has a range of 25,000 to 200,000 and the GX400 has a BTU range of 75,000 to 399,000. The efficiency ratings on these units are 92% AFUE, 91% AFUE and 92.7 % AFUE respectively. All units can be used with Natural Gas or Liquid Propane. For more information on features and specifications on the GX Series Gas Fired Water Boiler from HydroTherm , check out their website or contact their local representative. If you are looking for a way to save money on heating your home then the GX Series Gas Fired Water Boiler is a good place to start. gx150 boiler…….what does code ER-6 mean………..
Hi there to every single one, it’s in fact a nice for me to visit this web site, it contains helpful Information.